As many of you have probably figured out, I haven’t had the chance to run much these past few months. But I’m proud to say that my running has been steadily getting faster! I’m not sure how that happened, but I’ll take it! Secretly I’m blaming it on the fact that I’ve been spending time with a runner who has a pace of 6 minutes per mile or faster. Osmosis, it works. At the start of my run on Tuesday I noticed that my pace was faster than normal, so I tried to slow down to guarantee I’d make it through without trouble. Of course telling myself to slow down never works, but I did maintain the pace for the entire time. Then today’s short run managed to be more than 40 seconds faster per mile than my typical pace. Or what I used to consider my “typical” pace. I’m hoping this sticks and I can improve my marathon time for Big Sur (less than two months away, eep!). How has your pace changed over the course of your running career? Does anyone have suggestions on what other workouts will help increase speed? Good morning Meatless March! Today it all begins. Although I have only eaten meat two or three times in the past week, today I will be removing meat from my diet all together. I’m not so concerned since I know plenty of options that I love which don’t include meat, but we’ll see how I’m faring in a few more days. 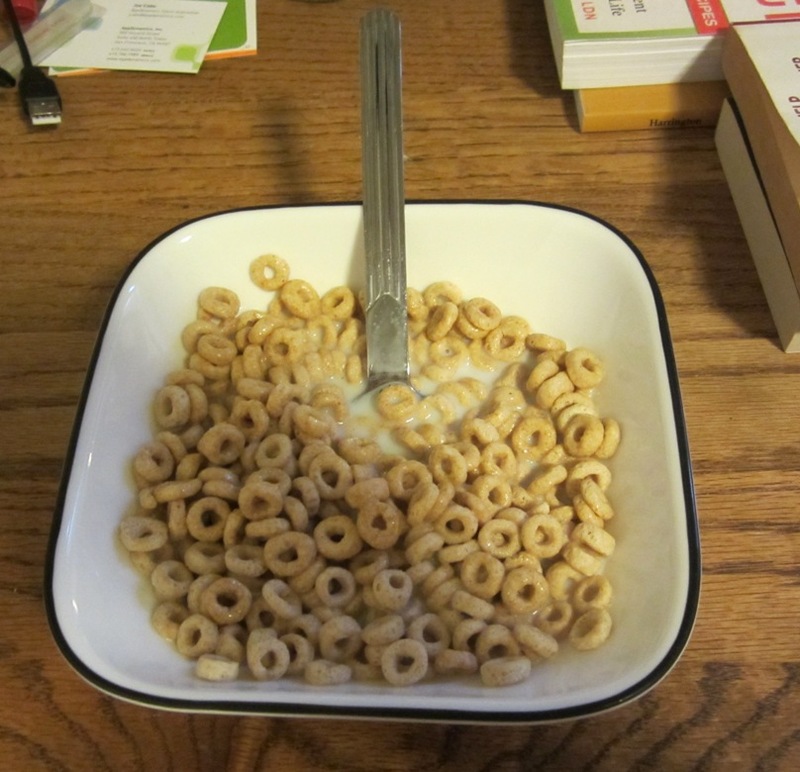 I started off this morning with a great big (but portion controlled) bowl of Cheerios. Have I mentioned that I’m a cereal fanatic? When I was living in London I ate cereal for at least one if not two meals a day (the cereal there is amazing). Well a while back I received a fantastic box from General Mills (courtesy of MyBlogSpark) that contained some of my all time favorite selections. And best of all, they are full of whole grains! I realize that some of them are less healthy (but slightly more delicious) than the others, so I’ve started off with Cheerios and Total and will be saving the others for a special occasion. 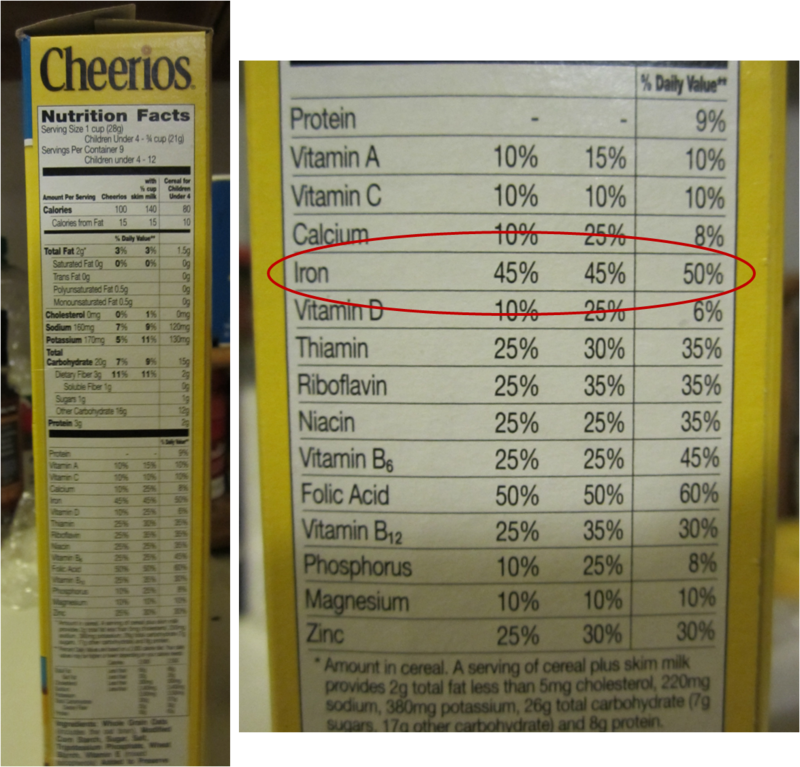 One of the best parts of Cheerios, for me, is the high amount of iron they provide. I’m anemic, which means I’m always sleepy, and things would definitely be better if I started to get a full serving of iron each day. Having a serving each day will be a low cal breakfast option as well as get me on my way for reducing my anemia. I’m looking forward to devouring the rest of the boxes over the next few weeks! Tell me more about your breakfast habits. What are your favorite cereals? 3. Post a tweet about this giveaway, please include @RunningJewess and a link to this post. Leave an additional comment for each extra entry. The giveaway will be closing at noon EST on Tuesday, March 6th, 2012. 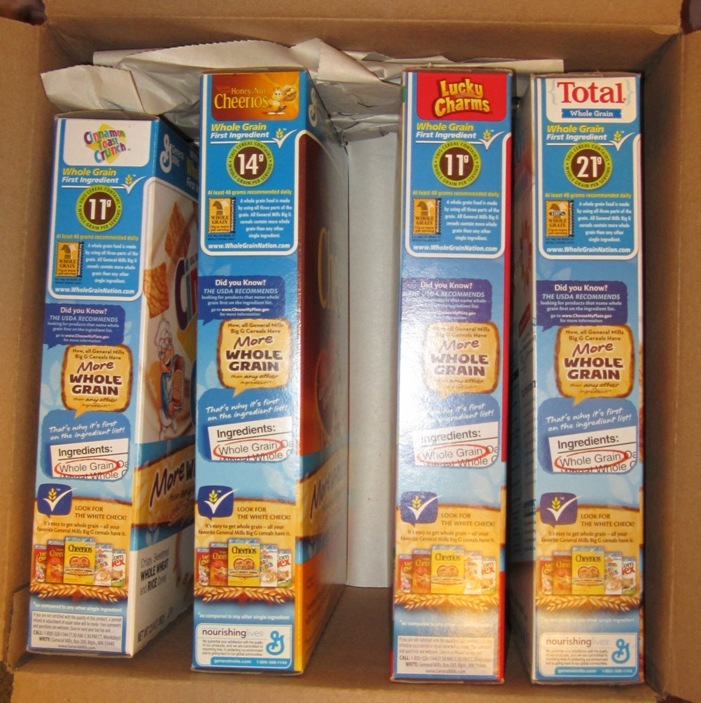 Note: The prize pack, information, and giveaway have been provided by General Mills through MyBlogSpark.